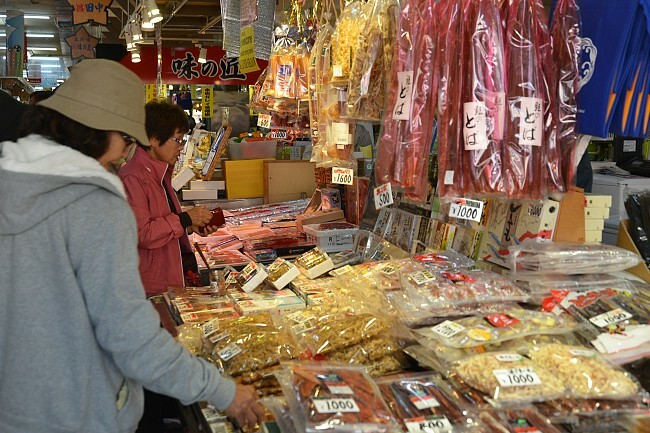 Today we wrapped up our 2013 cherry blossom reporting with a visit to Hakodate in southern Hokkaido. 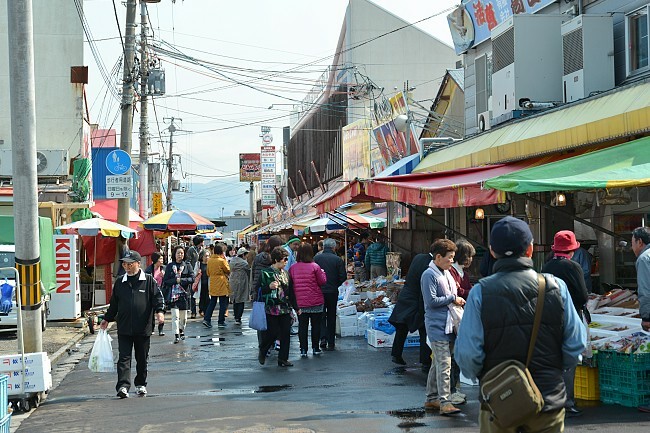 Hakodate lies in a similar locale as Matsumae, the town where we reported from yesterday, and has been experiencing the same uncharacteristically cool weather over the last few weeks. 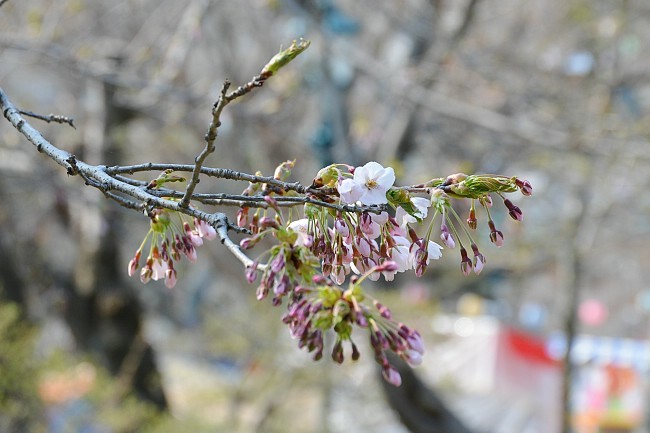 Consequently the cherry blossoms around the city are similarly delayed and only opened just yesterday, May 8th, about a week later than usual. 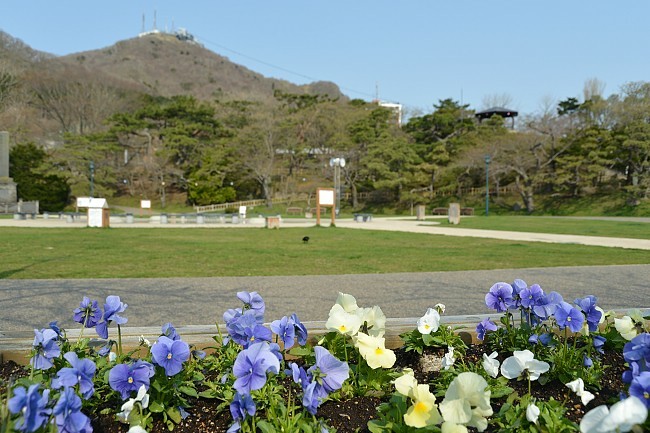 Our first stop early this morning was to Hakodate Park at the base of Mount Hakodate. 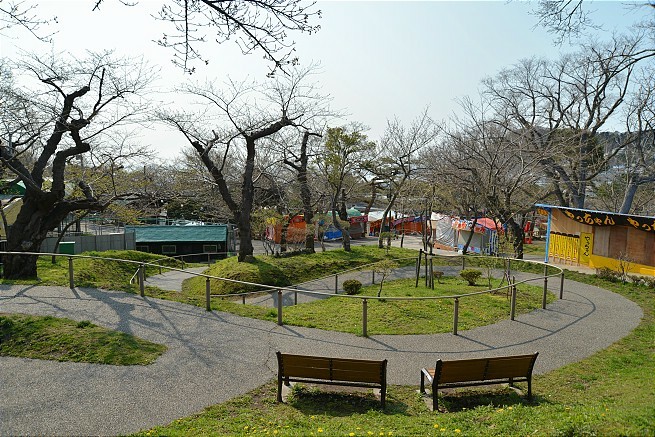 The large park is one of the oldest western style parks in the country and Hakodate's second most popular hanami spot. 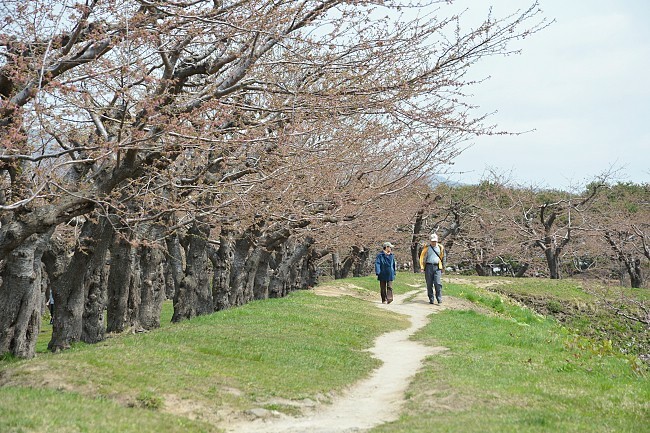 About 420 cherry trees are planted around the park along the paved walking paths and throughout its small zoo and amusement park. 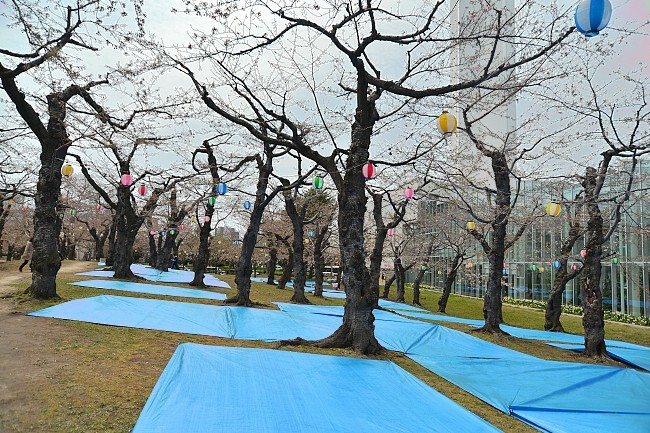 The cherry blossoms around the park usually bloom from early to mid May, however due to this year's delayed opening the trees only just opened yesterday. 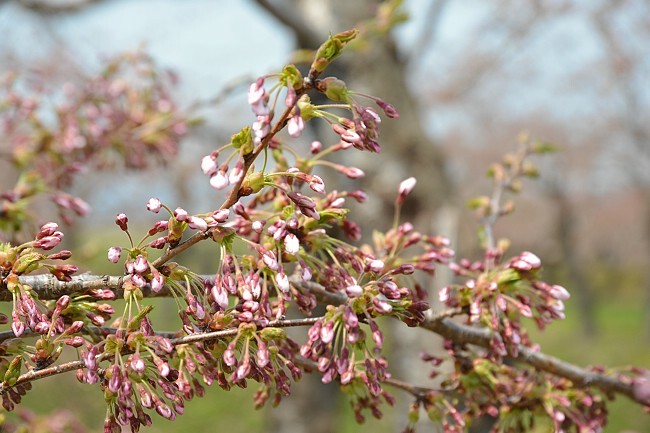 With the mild and rainy weather over the next few days, the blossoms probably won't progress to their peak until early next week. After checking out Hakodate Park we headed over to explore Hakodate's morning market and had ourselves a fresh seafood donburi breakfast. 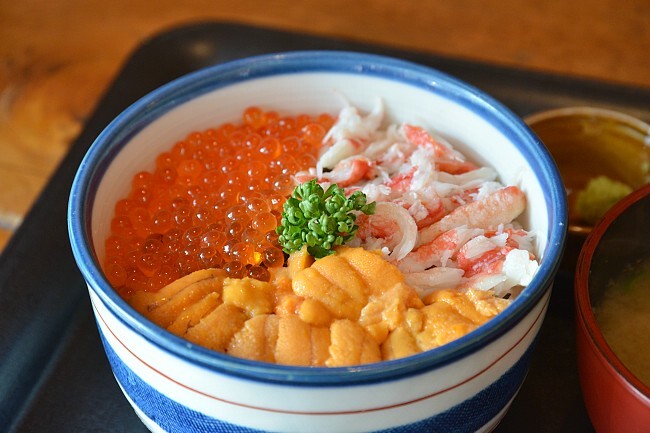 After checking out all the different shops along several streets and alleys, we settled at a nice little restaurant and had one of the best sanshoku donburi (topped with crab, sea urchin, and salmon roe) that I've ever had. 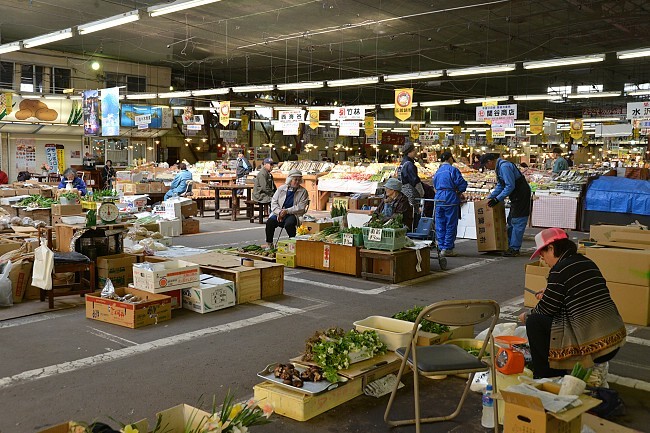 And with the lack of blossoms today, the markets were a nice way to add some color to this report. 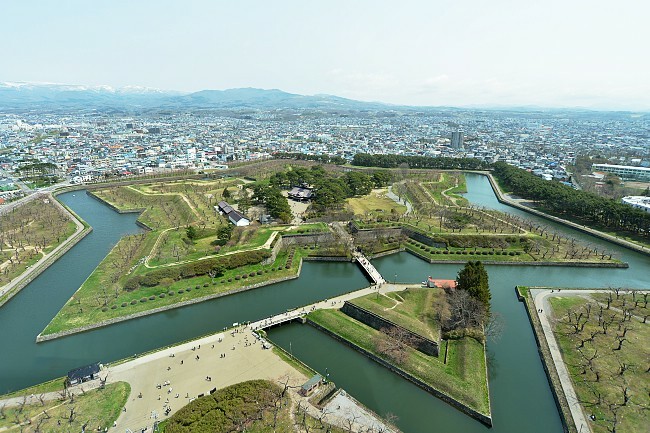 Our final stop before departing Hakodate was Fort Goryokaku, Japan's first western style citadel which was built toward the end of the Edo Period. 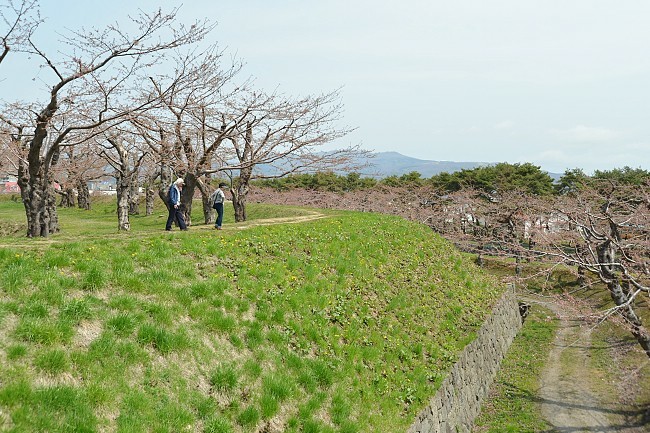 Considered the city's most popular hanami spot, the large fort has over 1000 cherry trees planted along its walls and moats and plenty of green space for picnicking. When in bloom (usually from early to mid May) the flowers turn the fort into one of the country's most beautiful cherry blossom spots. 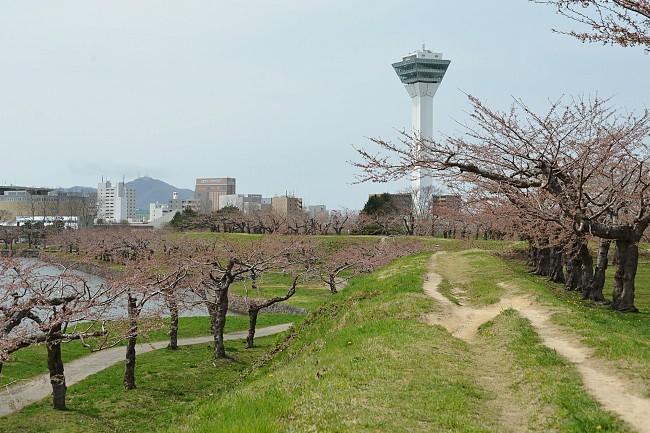 Unfortunately the situation of the blossoms at the fort was the same as over at Hakodate Park. The delayed season meant that the flowers had only just begun to open yesterday and, based on the weather forecast, they probably won't be at their peak until early next week. This brings our 2013 cherry blossom reporting season to a close. Join us again in September when we start our autumn reporting from Daisetsuzan National Park.